It didn’t take long for Cris Cyborg to fire back at Germaine de Randamie’s team. Moments after the UFC featherweight champion’s manager Brian Butler told MMA Fighting that de Randamie would refuse to fight Cyborg, a “known and proven cheater”, the Brazilian reacted. “She’s running, scared to enter the Octagon with me,” Cyborg told MMA Fighting. “That’s another one of her excuses to not enter the Octagon with me. That’s really not my problem, it’s the UFC’s (problem). 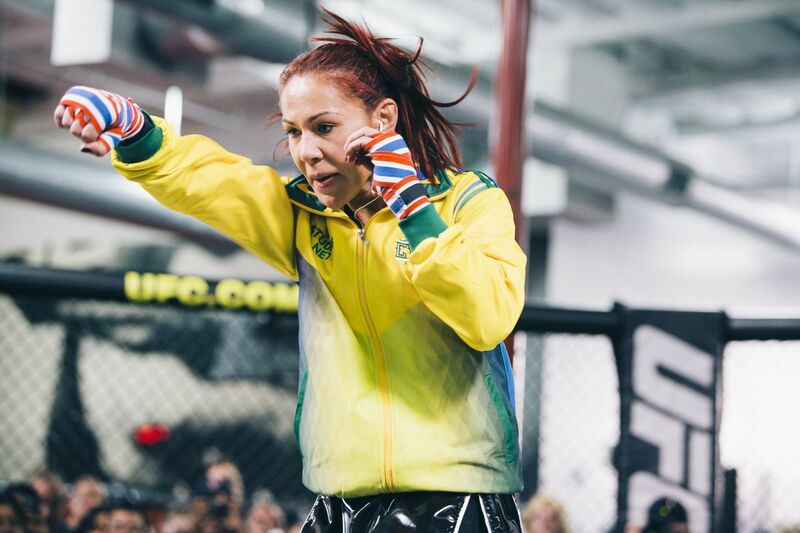 A former champion in Strikeforce and Invicta FC, Cyborg tested positive for stanozolol in 2011, and was suspended by the California State Athletic Commission. The Brazilian was provisionally suspended earlier last December by the United States Anti-Doping Agency (USADA), but was later granted a retroactive therapeutic exemption (TUE) for spironolactone and didn’t face any suspension. Asked if the UFC should strip de Randamie of her UFC belt, Cyborg left that decision to the promotion. UFC 214 is scheduled to take place at the Honda Center in Anaheim, Calif., on July 29, and is headlined by a rematch between Daniel Cormier and Jon Jones for the light heavyweight championship.